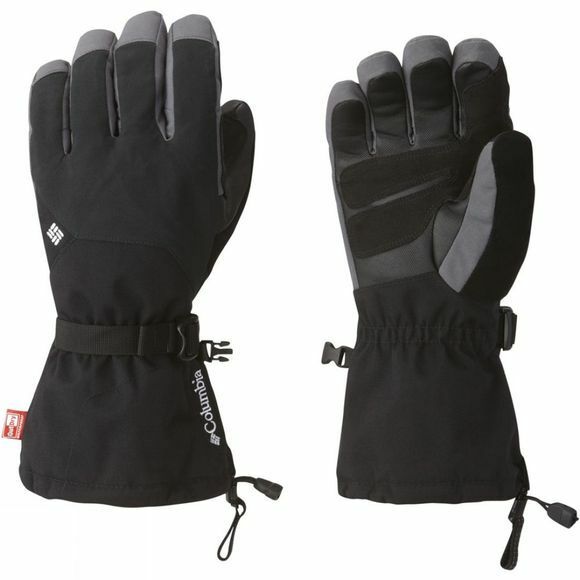 Lush berber fleece lining distinguishes this otherwise burly waterproof and breathable, insulated winter glove from Columbia, making it incomparably cozy. In addition to keeping you warm and dry in inclement weather, the Inferno Range Glove boasts a rugged suede overlay and super grippy synthetic palm for incredible protection and durability. Perfect for keeping hands and fingers warm during demanding winter activities, a lone hand shock cord at the hem and removable safety leash offer versatility and ease of use.